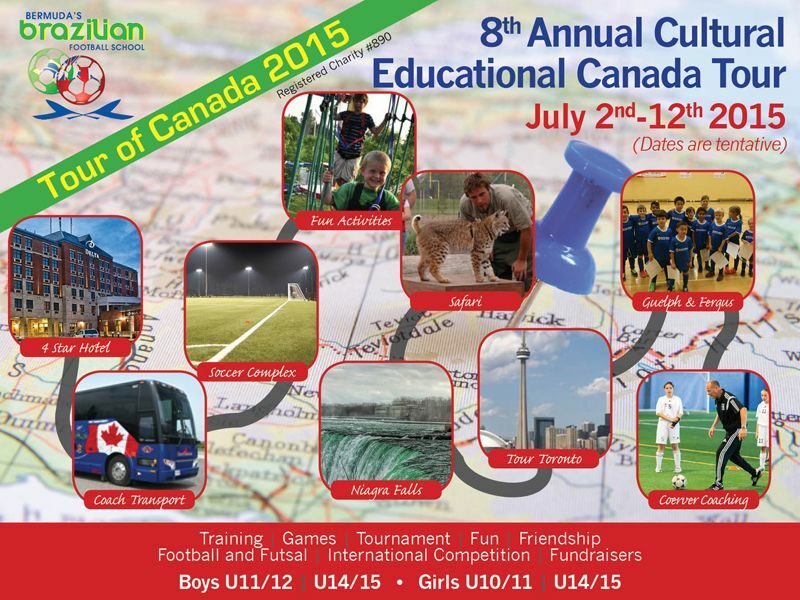 Bermuda’s Brazilian Football School will be traveling to Canada from July 2nd – July 11th, 2015. The tour will see BBFS participate in tournaments, matches, train with Coerver coaches, educational site visits and excursions. BBFS will be hosted by Brazilian Football School [Mr. Rick Clayton] in Guelph and Fergus and Coerver Ontario ‎[Brett Mosen]. Both Rick and Brett are no strangers to Bermuda and have facilitated both travel and football education to BBFS coaches and players.